Had some pretty hefty reds this week which has made getting up in the morning a bit more difficult. But worth it. This on Monday night because the B-I-L likes Grenache blends and he was up from London. And this this last night which I thought nailed the rich and full-bodied style. Ah the end of another working week, each week is worse than the previous. 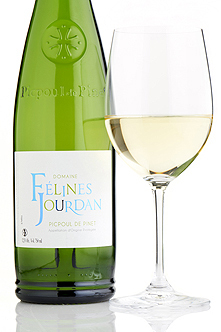 However I digress, I am just about to have a glass of this rather excellent Picpoul. 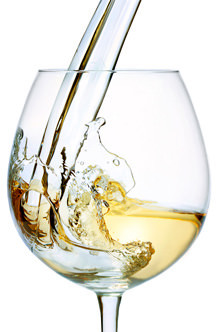 Picpoul de Pinet is one of the best-value whites from the south of France. Full-flavoured, dry yet with crisp freshness and a beguiling citrus and herb flavour, it can be enjoyed on its own or with seafood. A 2017 Cabernet Franc from Lodi. I bought it for the other half, as he’s a fan of the grape. We both are, so it’s a present I get to enjoy too, luckily! The chap on the label looks like many a man in Brighton, so maybe that influenced my purchasing choice a little, as I know nothing whatsoever about this wine. 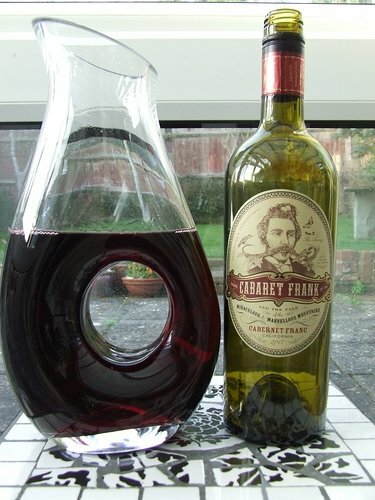 I like the decanter but I love the label; “Cabaret Frank & the tale the miraculous & marvellous moustache.” Whoever came up with that deserves a serious prize. 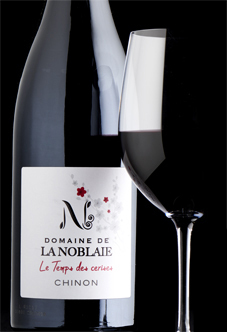 From a top pinot noir vineyard in Alsace destined for premier cru status, this is a mature, elegant pinot noir, with hints of Christmas-cake spice, bright acidity, fine texture and long flavour. Was a little concerned with the poor review online for this wine, but I guess there may be some bottle variation. It took a couple of hours to open up in a decanter, but the quality is there. Kirsch soaked cherries and mixed spices, lots of mature fruit flavours. Quite mineral and not in the great category, but authentic and interesting pinot noir. Light but with good length and flavour concentration. “Cabaret Frank & the tale the miraculous & marvellous moustache.” Whoever came up with that deserves a serious prize. Yes! You can tell this is a New World wine!.. can you imagine such a silly label on a Chinon…?! But as for the wine in the bottle - well, it’s beauuuutiful! It’s unmistakably Cab Franc, for its gorgeous floral (violet) notes and something rather leafy which I thought was menthol. There was also plenty of red fruit on the nose, and some sweet tobacco. The palate is fresh and delicious too; the fruit straddles the red/black territory I would say - some ripe red cherries, but also blackcurrent, mulberry and maybe even plum. 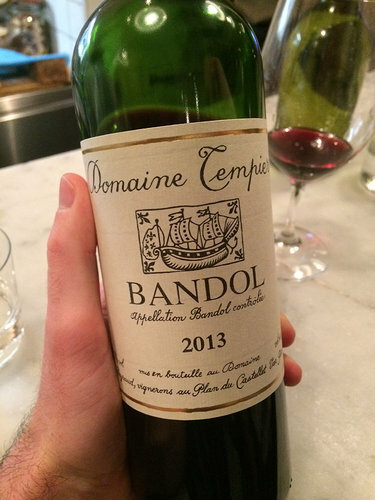 Medium and supple tannins, and the tell-tale acidity on the finish which ensures this isn’t just another fruit-bomb. Absolutely luscious and moreish! @Bargainbob, if you happen to stop in Butler’s - make sure you bag one of these. It really is a smashing wine! 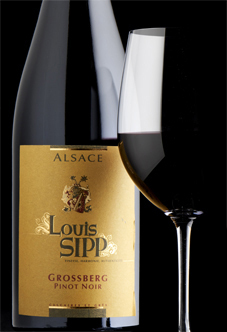 Ripe white-peach aromas backed up with grip and structure. With roast chicken. Been enjoying these, the only Burgundy I bought EP that year and the first white, slowly getting more confident in this campaign. It’s quite ‘tight’, and feels like I should leave some for a few years to see but not sure I will have the strength. A little late to the party but this was in great shape on Wednesday night. Anyone any intel on when is TWS getting some more Tempier? That label really is something else. Pleased to read the contents were somewhat more tasteful ! This cuvée takes its name from a parcel of vineyard on dense clay which brings a little more roundness and structure to the wine. 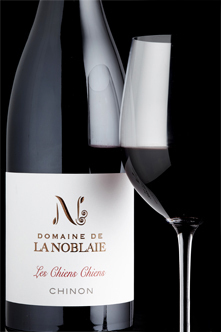 Deep in colour, with spicy peppery aromas, freshness and volume on the palate and silky tannin quality. Lots of character and personality for a relatively small outlay ( £10.95). Spicy sourly ripe dark red berries and a touch of graphite / pencil lead. Lovely weight and balance. Acidity provides most of the structure, ripe tannins a little bit of grip on the finish. Does a similar job to a decent Beaujolais or villages Burgundy. Excellent QPR. A bright, pure cabernet franc with a deep vibrant colour, lovely fresh but ripe berry-fruit aromas and a pure, clean-cut palate. I note that @Bargainbob gave it a really good review- and I trust him implicitly! Ah, thanks to you and @Bargainbob for the heads up. Will try and grab a bottle when I pick up a mixed case* at the showroom next week. *11 bottles actually ( like a lot of people here I had to leave space for a ‘golden bottle’ ). I’m not generally a huge cab franc fan but that one is a lot of fun from what I recall. Juicy and fruity and delicious. Half an hour in the fridge wouldn’t hurt it at all! Half an hour in the fridge wouldn’t hurt it at all! Couldn’t agree more about half an hour in the fridge. To quote the back label on the one I have. Serve at 14-15 degrees.